Mary Posatko (co-director/ co-producer) is an independent producer whose award-winning first feature documentary Ain’t in It for My Health: A Film About Levon Helm premiered at SXSW in 2010. Previously, she produced the music videos for Levon Helm’s Grammy Award-winning album Dirt Farmer and the Student Academy Award and BAFTA-winning Pitstop. She has worked in news, documentary and drama production for NPR station KCRW, and on several documentaries for HBO and Showtime including Naked States. Born and raised in Delaware, Posatko studied Semiotics and Modern American History at Brown University and received her MFA from USC. She lives in Venice, CA with her husband and two sons. Emily Topper (Co-director/co-producer) began working in ﬁlm as an Associate Producer on the PBS documentaries Gay Bingo (2000) and Mural (2001). In 2004, she earned her MFA in Film Production from the University of Southern California and began working as a cinematographer. Her recent work can be seen in the documentary, Ain’t in It for My Health: A Film About Levon Helm (2010) and Elemental (2011). 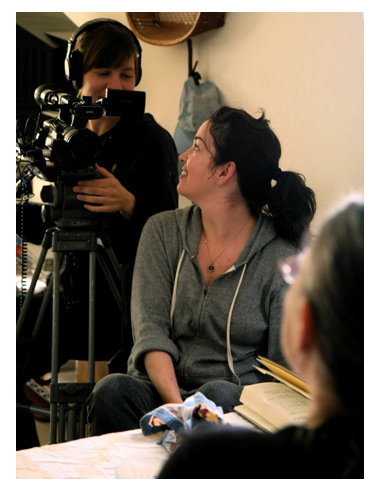 She is currently shooting the film Trust Women about four American abortion doctors. Emily earned her undergraduate degree in Visual Anthropology from Swarthmore College. She is the granddaughter of the man whose murder this film is about. Maya Hawke (Editor) has edited two films with Werner Herzog: “Cave of Forgotten Dreams”, together with co-editor Joe Bini, and “Ode to the Dawn of Man”, which premiered at the Telluride film festival this year. Prior to that she was assistant editor on most of Herzog’s films of the last decade, including Grizzly Man. She edited a series of commercials for the Apple iPhone directed by Errol Morris, one of which was listed as number five in Time Magazine’s top 10 commercials of the year. She has edited several feature length documentaries, including Plimpton! which premiered in 2012.